Donna Brighton is the president and founder of Brighton Leadership Group and is a recognized thought leader in the field of organizational change. This post is based on her Ultimate Culture Conference presentation and features insights on leading change. Culture change is enormous and complex. There is no easy answer, magic pill or quick fix to create instant culture change. However, leaders do have control over their actions and have more influence than they realize. This is the focus of the Four Essentials of Culture Change. Many statistics are quoted about the success of change (70%) and the amount of time it takes to change culture (from one year to eight or more years.) Whatever numbers you want to focus on, the reality is that change and culture are core to great leadership. There are many methodologies and approaches to change so this isn’t an attempt to recommend a method. The following four essentials are specific actions a leader can take to increase their success during change. As leaders navigate their way through the complexities of culture change, clarity, communication and change capacity are essential. The ability to influence others to change through attraction rather than force is the secret to lasting change. Use one essential or all four culture change essentials to increase your culture change success. In times of change, neuroscience provides clues about how people are impacted. Brain science shows us that change creates uncertainty and that uncertainty significantly reduces people's ability to be productive. The brain interprets change as a threat so it’s important for leaders to remember that during times of change they need to manage ambiguity. Leaders need to construct clarity for people during times of change. One way to do this is by defining a touch point timeline. Something as seemingly insignificant as a consistent touch point that provides an update or further insight into the change can radically diminish the level of ambiguity in change. It’s unrealistic to wait until everything about a change is completely figured out in order to communicate. Imagine being on an airplane and the oxygen mask drops. Would you want to know that the captain is aware that something is happening or have the captain wait until it’s all figured out? Constructing clarity comes from timely, clear, consistent communication. Many of you have heard about the importance of creating a burning platform. However, it’s critical to understand the correct definition of the burning platform.1 A burning platform is what’s needed for a leader to be fully committed to the change. When a burning platform is used to make a case for doing change, it leads to fear, which creates ambiguity and uncertainty, which is the exact opposite of what you should be doing. During times of change, leaders must conquer ambiguity. Use the burning platform to measure your commitment to the change rather than creating fear and uncertainty in your people. In the midst of culture change, leaders must construct clarity through their words and actions. In this video clip, I emphasize why leaders must understand the capacity for change within their organization before undertaking a culture change. If you enjoy this clip, sign up and join our Ultimate Culture Community to view the full video and the entire video library. The next culture change essential is effective communication. In some organizations leaders believe that “communicating is proclaiming.” Often a leader will tell everybody about the change in a town-hall. The leader incorrectly believes, that once people know what's going to happen, the leader has communicated. The reality is that communication involves a sender, a receiver, a message, it’s impact and then feedback. Communication is not only about sending a message but also about the impact that message creates.2 Are people hearing it in the way that was intended? Are they receiving that message in a way they understand? During times of change, effective communication requires not only that the message is sent but that it's received appropriately. I was working with an organization that was doing transformation in its sales offices. The project team told leadership, "They are being resistant. We presented an 80-slide Power Point session that clearly communicated every detail those sales leaders needed to understand. How come they aren't changing? Why aren’t they getting it?" The disconnect was not from a lack of information. Believe it or not, the change had been well-received. The sales leaders were bought into the change BUT the project team missed some really important input because they left out the feedback or listening component of communication. They were efficient at sending information but lacked the effectiveness of full communication. So often during times of change it’s easy to slip into efficient or partial communication, where we're busy producing information and sending it out. Without taking time to listen, refine, adapt and engage in the full communication process, the communication can be efficient but never as effective. During culture change, communicate effectively by speaking to people “in their language” and then taking the time to listen so that you know your message was received as intended. The third culture change essential involves your approach to lasting change. You can tell people to change. This usually results in begrudging compliance at best and outright resistance most of the time. Since telling doesn’t create change, you may consider approaches such as, selling people (explain the benefits), using rewards (if you change, you get something in return) or peer pressure (everyone else is doing it.) While each approach can be helpful in shaping change, lasting change only occurs when you attract people to a better version of themselves. That is the essence of creating culture change. A clear, strong culture enables leaders to attract and retain the people who share the values and the organizations cultural essence. Zappos is an excellent example of a strong culture. Tony Hsieh, Zappos CEO, decided to make a culture shift by changing to a management approach called holacracy.3 The jury is still out on this approach but leadership was very clear in their communication and unambiguous about the change. They appealed to the interest of their employees as they explained how this approach would enable them to act more like entrepreneurs and self-direct their work instead of reporting to a manager who tells them what to do. For people who were attracted to that kind of culture they stuck with Zappos. What happened to the rest? They left. And that, is how lasting change occurs. While all organizational cultures can be constructive, they are not equally created to enable every human being to perform at his or her best. 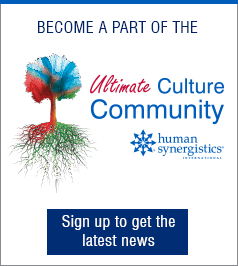 Just as human beings are unique, organizational cultures are unique. When it comes to shaping, shifting, or changing culture, it’s essential to use attraction so the right people stay and the people who do not fit the culture move on. Every person has a capacity for change. That capacity gets absorbed by both personal and professional changes, macro and micro changes, that are happening. Many leaders have no comprehension of the amount of change that's absorbing the capacity of their people. Culture change is impossible when people run out of capacity. There are many employees who want to do the right thing but they're overwhelmed. There's more change than they have a capacity to absorb. Despite their best intention, people without sufficient capacity are incapable of making a change. To understand organizational capacity a leader must make the time to understand the full landscape of all changes happening in the organization. What is the change, what is the impact and what capacity is available? As a leadership team, work through and prioritize the changes that are absolutely vital versus those that are not, and focus on those of greatest priority to ensure success. Change comes from many different places in the organization and collectively it diminishes people's change capacity. A leader can prioritize and remove changes to manage capacity. An alternative is to increase capacity. Change capacity in an organization is increased by building resilience.4 There's a variety of different approaches to building resilience but that is the secret to increasing change capacity within people and the organizations they serve. Leaders must understand the capacity for change within their organization before undertaking a culture change. Insufficient capacity is a sure way to fail in any change initiative, especially a culture change. Proactively build change capacity through resilience and the creation of a flourishing workplace. In every organization there are hidden gems. These gems represent the strengths of people and the organizational strengths. The most successful culture change happens when those strengths, or hidden gems are identified within in the organization. Once identified, build on them to create, shift, shape and change. Culture change doesn’t occur in a vacuum. Find the firm foundation of the hidden gems of strength. Then build culture change around them to achieve lasting success. 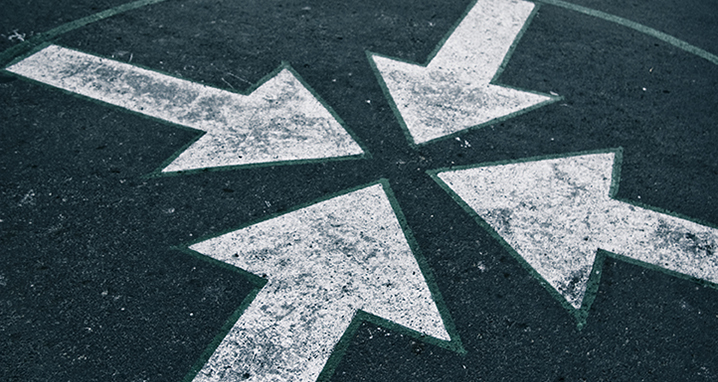 These four culture change essentials are specific actions leaders can take to be extraordinarily successful during times of change. Leaders must conquer ambiguity by being clear, communicating effectively—not just sending messages but listening—and by creating attraction to the change, inspiring people to be a better version of themselves. Finally, to be successful in culture change, leaders must ensure sufficient change capacity. If your people are so overwhelmed with other changes going on in the organization that they don't have capacity, the culture change will fail. Apply one or all of these culture change essentials to increase your success. I look forward to your questions and comments via the social media buttons below. Donna Brighton is an expert in organizational culture and change. She advises CEO’s, Directors and executive teams throughout the world to increase leader, team and organizational effectiveness. Donna holds a Master’s Degree in Organizational Leadership as well an advanced certification in Organizational Change Management. A recognized thought leader in the field of organizational change she was co-editor for the People & Strategy Journal special edition on change management. Donna is a founder of the Global Association of Change Management Professionals, served as President for two years and a volunteer Board member for nearly a decade. Combining her love of wine, learning and leadership, she and Scott Beilke created Leadership Uncorked. This powerful partnership delivers extraordinary leadership learning experiences for leaders and teams around the world. Why not uncork your potential and increase your effectiveness?